Our topic today? Sexism in egyptology. 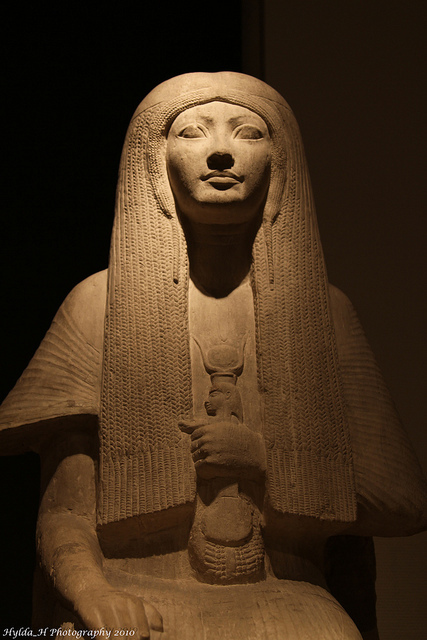 Okay, it’s actually priestesses in ancient Egypt, but it was a bunch of sexist assumptions by previous generations of egyptologists that allowed the importance of priestesses to be overlooked or discounted and inspired me to choose this topic for the post. What sort of sexist assumptions you say? 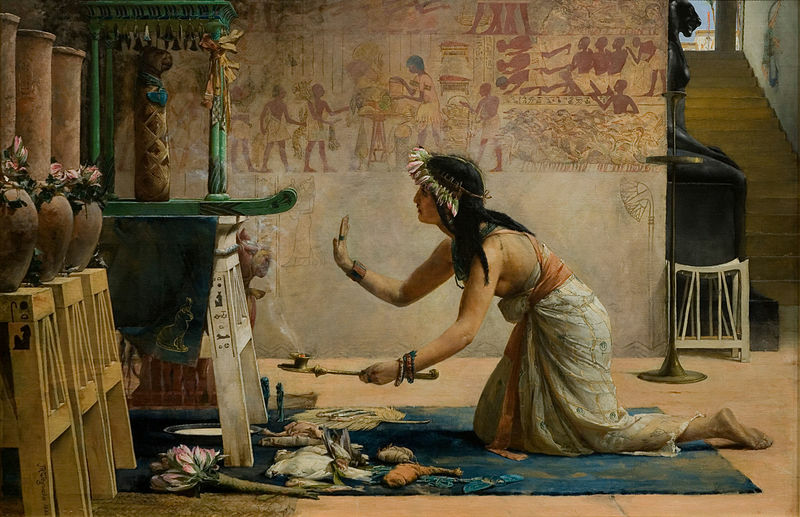 Many old-school egyptologists have assumed that women were not allowed to participate in the most holy—that is, most important—aspects of worship. They have assumed that the sacerdotal titles of high-status Egyptian women were simply honorary and the women did not actually perform the work of a priestess. Such assumptions are never made when it comes to Egyptian men with corresponding titles. Never. 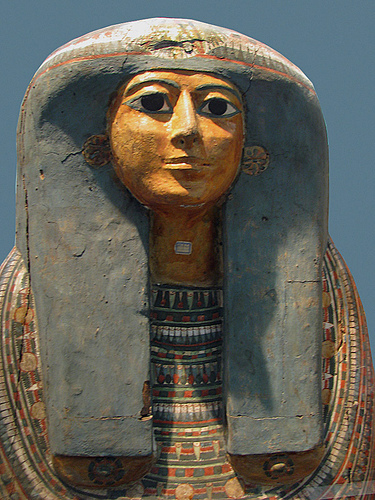 By translating the Egyptian term, Servant of the God—which was used of both men and women—as priest or priestess, the old gentlemen were allowing themselves a little mental sexism for, in their minds, a priestess was always of lower status than a priest because in their society women were of lower status than men. It was assumed that the religious involvement of women with priestly titles was not “professional” and when Egyptian religion became “more organized” in the New Kingdom, there was an effort to exclude women. Thankfully, more modern egyptologists are taking a less biased view. So what’s the real story? Due to the incomplete nature of the evidence, we can never be entirely certain. Yet we do have the opportunity to look at what evidence remains in a fresh way. When we do so, we notice that we have records of quite a large number of ancient Egyptian priestesses. These records come from all periods and regions of Egypt. We see that supposedly honorific titles were borne by some women who were not married to priests or who were married to men of lower rank. In other words, the woman’s status was her own and she did not derive it from her husband. From the fifth dynasty we have a record that shows that the sons and daughter of one noble family took turns being the Servant of the God of Hathor. The religious duties of the sister Servant of the God would have been the same as those of the brother Servant of the God or it would not have been possible to switch off like that. We also have records showing that lower-ranked priestesses and priests were paid exactly the same amount for their temple service, which must indicate the equal importance and likely equal duties the job entailed. We have evidence that the priestessly title of Meret, “Beloved,” may have been quite a high-ranking position. At least one Meret priestess was responsible for the financial security of the temple through care for its real estate and agricultural resources—a very important role and one that must have required a great deal of education. As Egypt came in contact with more sexist cultures, it may well be that some priestessly power eroded. Perhaps this is why Hatshepsut’s grandmother felt the need to revive the important title of God’s Wife, which Hatshepsut later took for herself. In later periods, we find many priestesses with the title of Chantress and may be tempted to dismiss it as a minor role, yet it may well be that we are undervaluing the vital role that music played in the worship of the Goddesses and Gods. Many of the women with this title were royal and noble. We have letters surviving from some of these Chantresses that indicate they wielded a great deal of power. The Great Chantress of Amun wrote to a military official sharply ordering him to supply rations for the workmen: “Don’t let [name of another official] complain to me again,” she writes. “Have them prepared for the people…” Women tended to prefer using their title of Chantress even over other prestigious titles they may have held, which surely indicates the title’s high status. Like other Deities, Isis would have been served by Her priestesses. They would have made music and sung hymns for Her, presided over offerings, and perhaps even tended Her temple’s real estate holdings. In fact, by the New Kingdom, Isis was one of the Deities (the others are Amun, Montu, Mut, and Osiris) most commonly served by priestesses. As the author of Daughters of the Goddess- The Sacred Priestess- I would like to add to the discussion about the role of the priestess in Egypt. – I am not sure I can find the time currently however . Hi, Naomi! I hope you do…would love to hear your perspective. 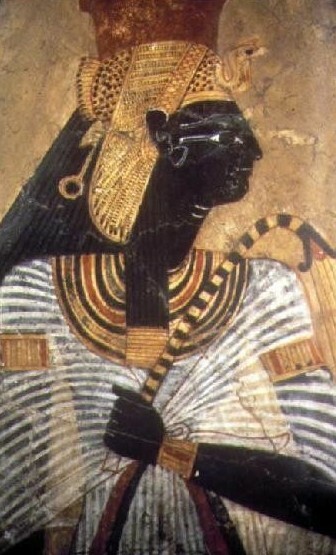 At the time of Hatshepsut’s grandmother, Queen Ahmose Nefertari (1562 – 1495 BCE), Greece was not “Greek” in the Classical or even the Archaic period sense. What we consider “Greek” from back then was more along the lines of the end of the Minoan era in Crete and the beginnings of the Mycenaean period. The Trojan War is the big historical footnote here, dated to approximately 1250 BCE, more than 200 years after the time of Queen Ahmose Nefertari. The Mycenaeans were strongly influenced by the Levantine and Mesopotamian civilizations; in fact, they are considered to have come from the Levant or Anatolia to Hellas or Greece. Remember the Sea Peoples who worried Egypt and Canaan? It is more likely that the sexist attitudes mentioned in the above article would have been transmitted from various Asian (Mesopotamian) cultures, where the value of women in society and their influence or power was ‘downgraded’ for over a millennia. This is the period of Kassite rule in Babylon and the Middle Assyrian empire. I agree that Greek culture at that time period (1562 – 1495 BCE) was pretty much a derivative of Southwest Asian cultures and was essentially Asiatic in nature, but you must remember that even at that time period the cultures of Asia were not quite as male dominant as they became in later times. Also, even in male supremacist Asiatic cultures like Assyria, women still had prominence in religion. Another issue that relates to this very topic of Egyptian priestesses is the African nature of ancient Egyptian culture. Despite many preconceived or rather misconceived notions on the Egyptians due to centuries of Euro-colonial racism, the ancient Egyptians were an African people and their civilization actually has more features in common with cultures in so-called ‘Sub-Sahara’. The evidence is too numerous and substantial to list in its own topic, but mainstream Egyptologists like Donald Redford, Ian Shaw, Michael Rice, and Toby Wilkinson have admitted as much. As to the topic of priestesses, female Egyptologists like Gay Robins and especially Barbara Lesko in her work ‘Great Goddesses of Ancient Egypt’ have listed numerous traits and customs that Egyptian priestesses share with priestesses in other African cultures. One feature is the importance of music especially drumming, singing and dancing in rituals. One facet of study that gets little to no attention is the study of local community priestesses. Most of the records we have of priestesses and priests are of state sanctioned temple clergy, yet the majority of Egypt’s populace received direct spiritual leadership from their local community priestesses the way many people in traditional African religions do today. In fact, these local priestesses actually survive TO THIS DAY!! This local village priestess is called kodia and although the kodia has been maligned for centuries as a ‘sahera’ meaning witch (in Arabic) by the dominant Islamic culture, they still exist maintaining their traditions especially in the rural areas of Sa’id (Upper Egypt). The locals still hire the kodia to perform healing ceremonies, midwifery, exorcisms, and placating spirits of the deceased. Only a few anthropologists have documented this and lament on the fact that these women and their traditions are relics from pharaonic times yet NO Egyptologist has bothered to study them! One can’t help to think the reason is that these women look and act “too African”! There’s no doubt in my mind that Priestesses held office as high as any Priest. Regardless of how history spells this out in the ancient world there is no arguing that both men and women in our modern era are a part of this history as well. Today, you find men and women in the roles of Priest and Priestess in many faiths. Hopefully, 2,000 years from now there will be great temples dedicated to Isis again, and her Priests and Priestesses honoring the memory of those who laid the clear and equal foundation today. The irony is that even in male supremacist cultures like ‘Classical’ Greece and Rome, women maintained high status in religion as priestesses, oracles, and other religious leaders. In fact, there is evidence that suggests women were originally dominant in the realm of religion if all the myths and legends suggest. The demotion and overall exclusion of women from religion is a relatively recent phenomenon that is based PARTLY on Judeo-Christian beliefs and partly on purely political trends of complete male totalitarian control.